You know the basics about matter such as the fact that it cannot be created or destroyed. 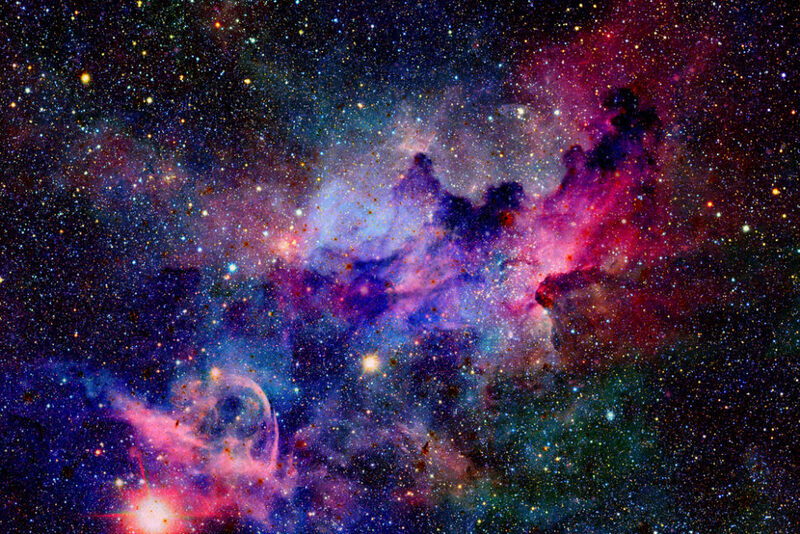 But as of last year, science revealed that half of the atoms in our galaxy actually came from other galactic bodies. A recent study has shown that a large amount of the matter in our Solar System comes from outside of our planetary neighborhood. Scientists learned more about dark matter last year, as well as matter in our own world. You probably remember the basics from your grade school science class when it comes to atoms and subatomic particles. But you might be surprised to know that half of the atoms in your body right now actually came from somewhere across the universe. How did the scientists conducting this research come to their findings? There are Intergalactic Space Winds? This is a bit of an oversimplification; however, it relates to how so many of our galaxy’s own atoms came from other systems in space. The swap occurs due to supernovas in space that spew high-speed gas into the universe. Thanks to large forces like this, our Milky Way galaxy collected about half its matter from nearby star clusters. Nearby is relative in space and, in this case, it means up to at least one million lightyears away. Galactic winds are what propel matter and they move at several hundred kilometers per second. Despite their speed, the process that scientists theorize resulted in the current Milky Way’s atomic makeup probably took more than several billion years. Claude-André Faucher-Giguère led the research group in tandem with Feedback in Realistic Environments (FIRE) collaborators. They created numerical simulations that actualized realistic galaxy models in 3D spaces. You can read more about the project and its specifics in their paper located here. What is the most intriguing or baffling thing you’ve learned about astrophysics this week?